Moffat 1.6 cu.ft. 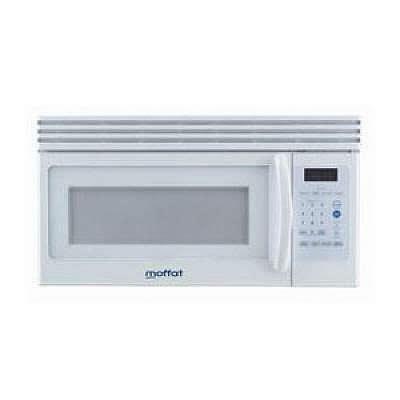 over-the-range microwave features, a 2 speed fan and 1000w of microwave power. Variable power levels add microwave flexibility to microwave cooking. The power levels on the microwave oven can be compared to the surface units on a range. High (power level 10) or full power is the fastest way to cook. Each power level gives you microwave energy a certain percent of the time. Additional Information -High Capacity (300 CFM) Venting System. -Quick touch pads. -Instant on Convenience Cooking Controls. -Optional Side Filler Panel Kit. -Optional Recirculating Charcoal Filter Kit. -Convenience Controls: Baked Potato, Beverage, Popcorn, Reheat. 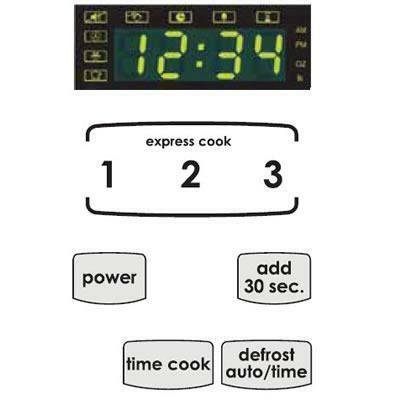 -Add 30 Seconds - Increases cooking times with one touch. 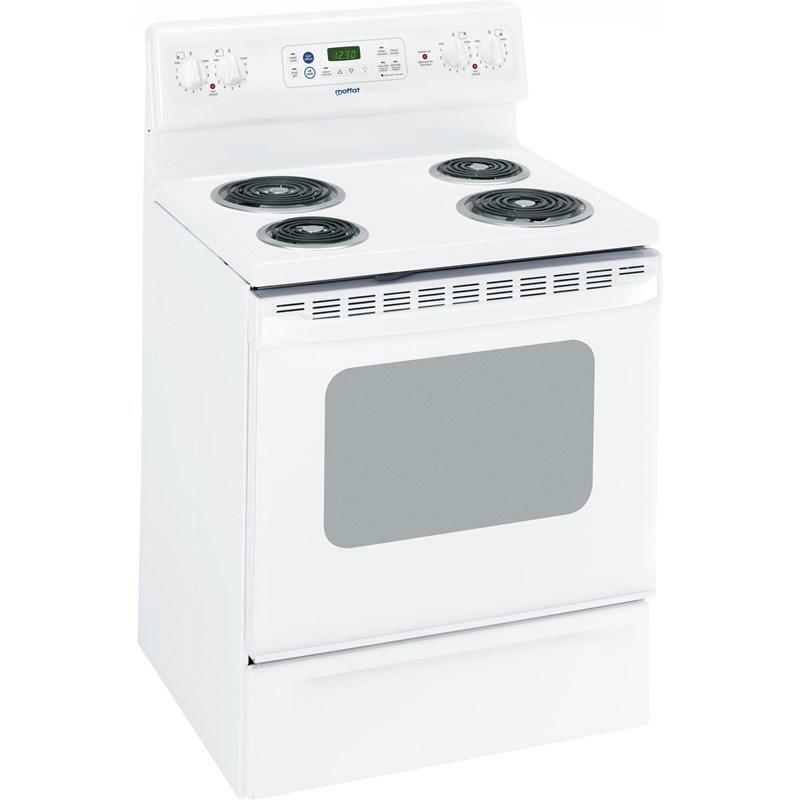 Moffat 30" freestanding electric range with 4 SensiTemp coil elements. It features a 5.0 cu.ft. oven capacity, chrome bowls, a self-cleaning oven and a Quick Clean storage drawer. 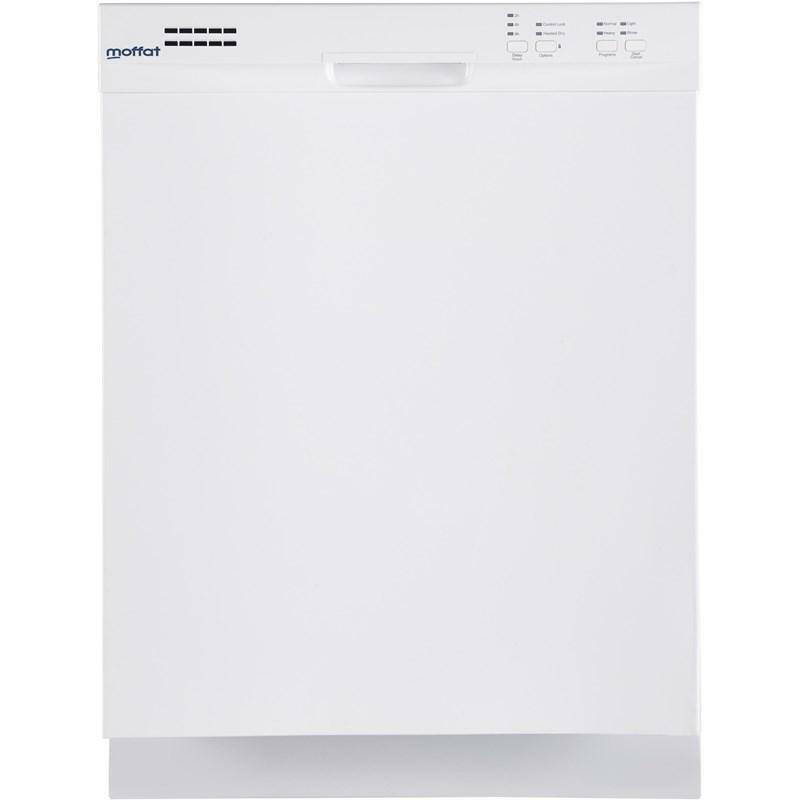 Moffat built-In dishwasher with stainless steel tub. 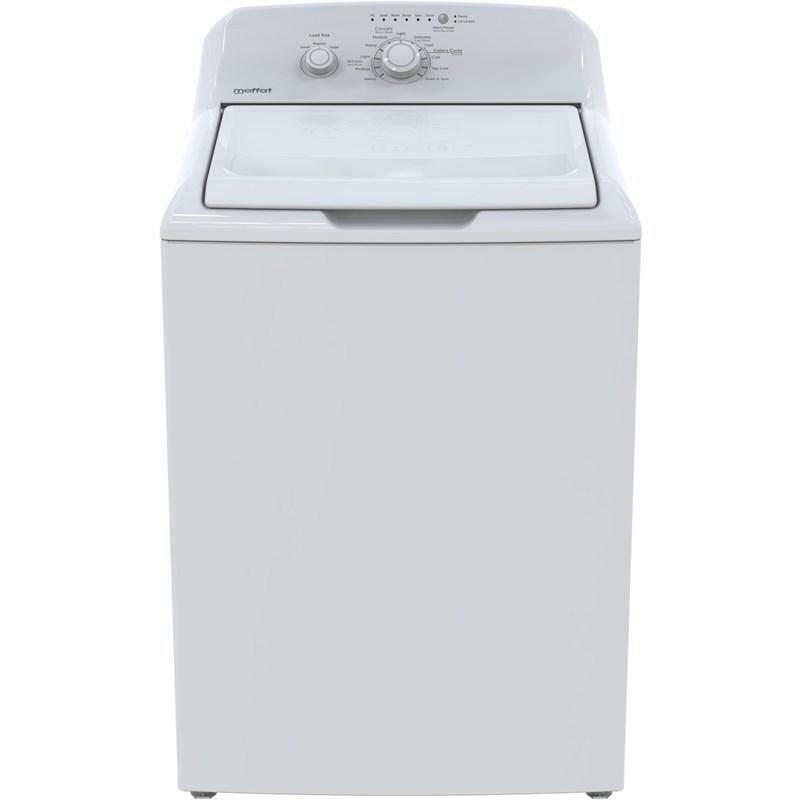 This dishwasher features electronic controls, 4 cycles with 4 options, drain hose and recessed handle. Certified to exceed Energy Star® guidelines for energy efficiency. Moffatt 11.5 cu. ft. capacity counter depth bottom-freezer refrigerator. 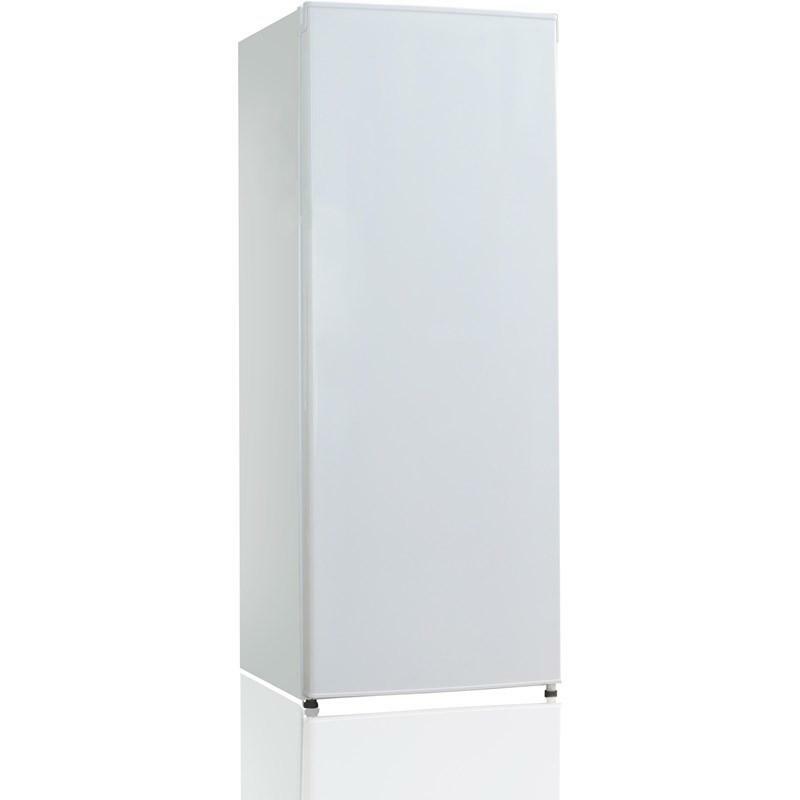 This refrigerator features external electronic temperature controls, two clear vegetable crispers and reversible doors. 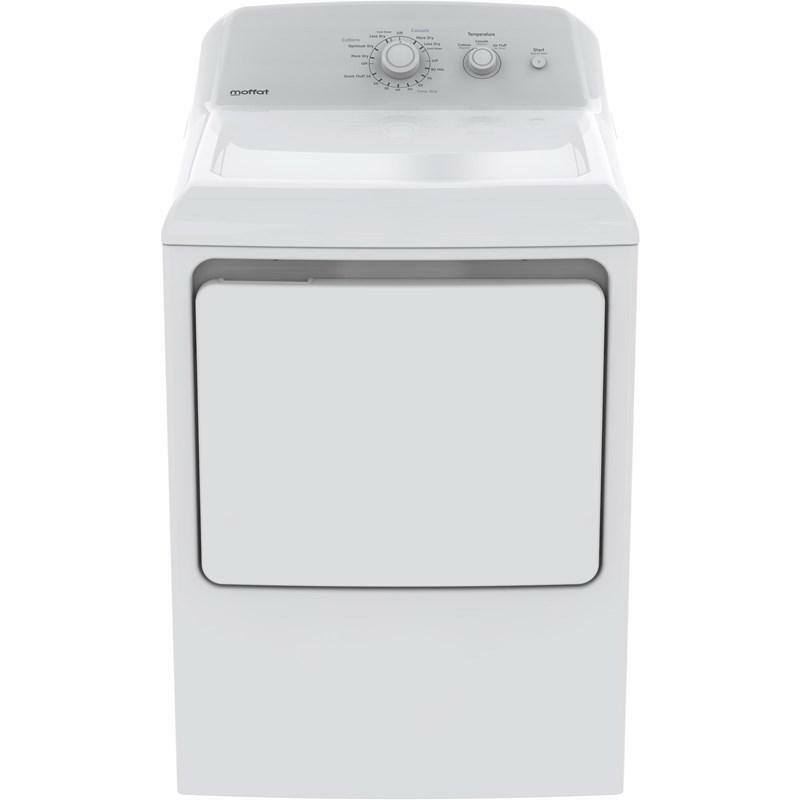 This Moffat extra large capacity electric dryer features 3 dry programs, up-front lint filter, Quiet-By-Design sound reduction system and rotary electromechanical control. 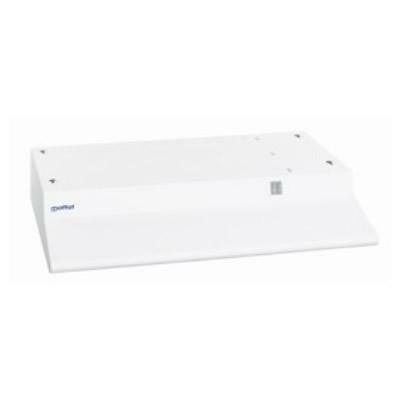 Moffat 30" range hood features, variable 2 speed fan control, 160 CFM and powerful variable speed exhaust system effectively pulls smoke and vapors out of the kitchen. Moffat 5.5 cu. 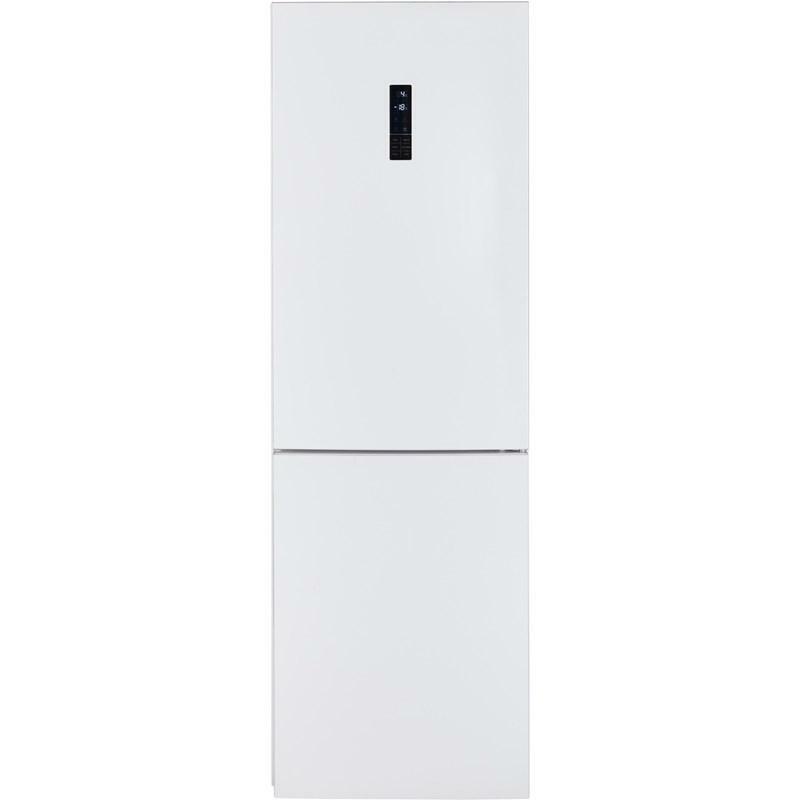 ft. upright freezer featuring manual defrost, a reversible door swing, a recessed handle and mechanical controls.